Welcome to our August 2017 Newsletter. Training for business is becoming a must. Our newsletter covers all the necessary training needed to ensure that your business complies with all current legislation. All of the courses running throughout August are fully certified by relevant awarding bodies such as IOSH, Qualsafe Awards and NCFE. An understanding of the importance of risk assessment within the workplace and why risk assessments are necessary for Health and Safety. The Health and Safety (First Aid) Regulations 1981 require all employers to make arrangements to ensure their employees receive immediate attention if they are injured or taken ill at work. This includes carrying out a risk assessment, appointing a suitable amount of first aiders and providing appropriate first aid training. This qualification is designed for learners who need to develop a basic understanding of Fire Safety in the workplace. 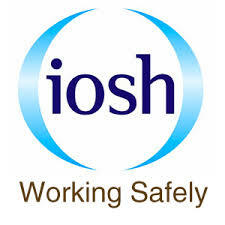 Working safely is a one-day course for people at any level, in any sector, that need a grounding in health and safety. This regulated and nationally recognised qualification provides Learners with the opportunity to develop the skills and knowledge needed to deal with a range of paediatric first aid situations, illnesses, injuries and emergencies which can arise when looking after children. This qualification is designed for learners who need to develop a basic understanding of Health and Safety in the workplace. Every manager should have an understanding of their responsibilities when it comes to health and safety. This flexible course is ideal for getting managers up-to-speed on the skills they need to tackle safety and health issues in the workplace. Places are going fast so book now!!! Discounts available for bookings of 5 or more staff on 1 of the above courses. Airco Centre of Excellence is committed to ensuring that your staff help shape your company’s future.